As much as it pains me to start a new month on the wrong foot, I may as well go ahead and the get bad news out of the way: Channing Tatum turned down a third Magic Mike film. Actually, the actor made this announcement quite some time ago, but with Magic Mike XXL steaming up movie screens all over just reopens a wound that appeared to be well on its way to healing. But if Tatum thought he would silently twerk his way towards the stage left exit, never to oil up and gyrate for our viewing pleasure ever again, then he's got another thing coming. 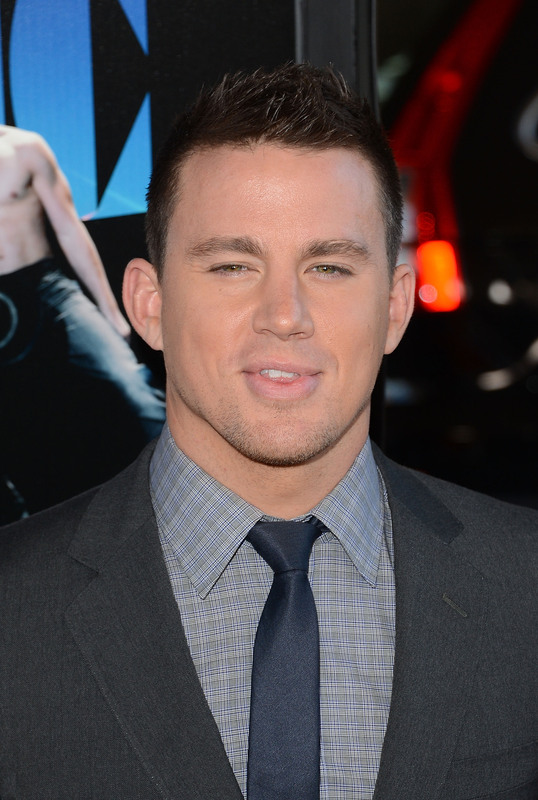 Sorry, Channing — I'm gonna let you finish, but not until I've convinced you to do another Magic Mike film. C'mon, fellow Magic Mike fans. We simply cannot afford to be passive about Tatum's decision to deprive us of all that dancing post-Magic Mike. Someone has to put a stop to this madness, STAT. The fact that Tatum is prepared to walk away from the stage that has yielded him so much success (and brought joy to so many viewers) is just incomprehensible right now, not to mention rude and insensitive my personal, aesthetic needs. I mean, there are hordes of future fantasies and, in some cases, actual livelihoods at stake here. What? Bribery has a proven track record and I'm sure that back when Tatum worked as a stripper, his moves were nowhere near as good as they are now. Considering that Clarke and Tatum adore one another, the Game of Thrones actress taking on a role in the film might convince him to come back. Tatum called Swift his baby whisperer, referring to the singer as the "sorcerer of the highest regard." Maybe Swift can use her sorcery to influence Tatum's career decisions. During an interview with Bustle, Tatum revealed that filming both Magic Mike movies "empowered" him. So where will all that empowerment come from if you don’t do another Magic Mike film, huh Channing? How about launching a social media campaign where fans bombard the actor with the hashtag that includes all the reasons Channing Tatum is absolute perfection. If he’s as nice a guy as he seems to be, flattery should get the ball rolling. The hacked email Tatum sent to Jonah Hill about the success of 22 Jump Street granted a clue into the Magic Mike’s star preferred style of email communication. To be effective, the message has to be short on words and long on repeated letter patterns. All I need is to fire off an email that reads, "Pleeeeeeeeeeeeeeeeeeeeeeeeeeease," and he'll be signing on the dotted line in no time. C’mon, Channing. I’ve done my job. Now it’s time for you to do yours (again).